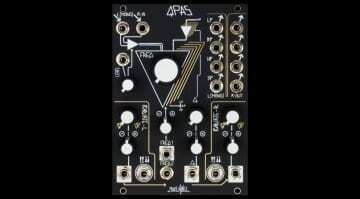 We first saw the Stereo Dipole briefly around NAMM when Andrew Morelli of Steady State Fate posted some pictures on Instagram apparently in response to the buzz around the Make Noise QPAS. He suggested we wait for his module to come out before taking on a new interesting and complex filter module. Well, it’s just becoming available and we now have all the details. The name doesn’t quite have the pizazz of the Quad Peak Animation System or the mystical rune laden front panel but Steady State Fate (SSF) is all about clean lines, logical layouts and calling things what they are. 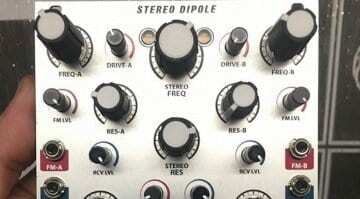 The Stereo Dipole is a Quad Multi-Mode VCF featuring single, dual and quad peak filter outputs. You tend to latch onto the “Quad” part of the description whereas the Stereo Dipole is actually two identical filter sections. They can be used independently with their own cutoff and resonance controls or combined into a single stereo filter with stereo controls right in the centre of the module. The “Quad” part emerges via a secondary filter cutoff controlled by the “Spread” knob that offsets a secondary peak from the main filter peak. That then moves the filter from the single Pole output to the Dipole output. So considering it as a Stereo Dipole means that you have four filters working together, the primary and the offset on each channel left and right. Does that make sense? 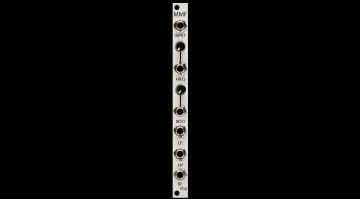 You can arrange the filters in series or parallel, in high, low or bandpass modes and there are outputs for the Pole and Dipole of each side and a single mono output featuring all 4 peaks. At the top, there are drive circuits for both sides taking the signal from clean to crunchy and characterful. There are CV inputs to control everything including voltage/octave inputs to use the Stereo Dipole as a single, dual or quad sine wave oscillator. 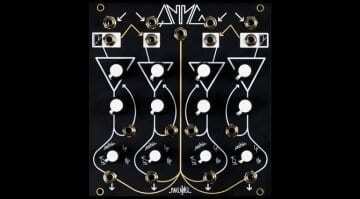 It’s an interesting filter module with a lot of scope for movement, stereo imaging and CV controlled harmonic synthesis. 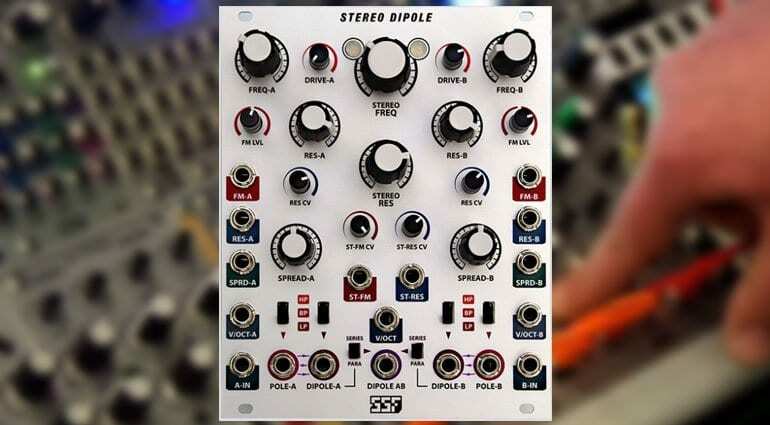 The Stereo Dipole is available now for $399.